Able Towing Service provides affordable, quick response towing and roadside assistance throughout Norfolk. Their fleet of tow trucks and expertly trained operators stand ready to deliver their unique brand of quality tow services wherever you’re in need. Able Towing has provided quality Norfolk Towing since 1995 and has over 60 years of towing and recovery experience on staff and ready to serve you. If you’re searching for a quality local tow company in Norfolk with the experience and equipment to get the job done call them now at 757-627-4861. 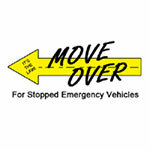 Able Towing Service provides towing and roadside service throughout Hampton Roads including Portsmouth and Chesapeake. Able Towing Service offers complete heavy truck towing in Norfolk and throughout Hampton Roads. 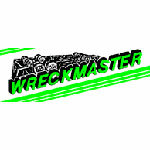 Their team of trained and experienced operators are prepared to tow your heavy truck quickly and affordably. 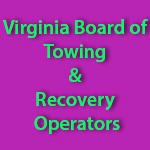 Call their heavy truck towing dispatch center now at 757-627-4861. Able Towing Service Norfolk eagerly participates in working with the Virginia Board of Towing & Recovery Operators to ensure all employees pass a criminal background check and are trained to provide towing services. They also work closely with many area automotive dealerships, auto repair facilities and local police departments to provide safe, fast and trusted towing services. 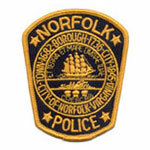 They provide services to the Norfolk Police Department, Chesapeake Police Department and the Virginia State Highway Patrol. Their unrelenting commitment to providing quality towing in Norfolk ensures you will have the best towing experience possible. Their charges for service are reimbursable by most reputable insurance carriers and road service providers. Able Towing Norfolk accepts many forms of payment including Cash, Mastercard and Visa. Call us now at 757-627-4861 to get a tow truck dispatched to your location.